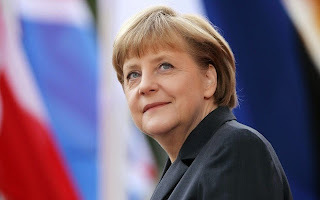 German Chancellor Angela Merkel will be the recipient of Indira Gandhi Prize for Peace, Disarmament and Development for 2013. The 59-year-old Merkel will be given the prestigious award for her leadership during the trying financial crisis and her stewardship of German economic growth, Indira Gandhi Memorial Trust announced. The award will be given by Indira Gandhi Memorial Trust lauding her commitment to universal peace and disarmament and her leadership role in strengthening productive. The trust said the prize was being given to the German leader because of the work done by her for promotion of global economic stability, her commitment to universal peace and disarmament and her leadership role in strengthening productive and mutually beneficial relations with India and other developing countries. Merkel, who became the first woman to be elected as Chancellor of Germany, has been a strong supporter of close relations with India, it said. Her joint declaration with the Indian Prime Minister greatly strengthened the Indo-German relations, leading to inter-governmental consultations during her state visit to India in 2011 and PM Manmohan Singh’s visit to Berlin in 2013 during which the German participation in the ambitious Green Energy Corridors Project was finalised, it added.